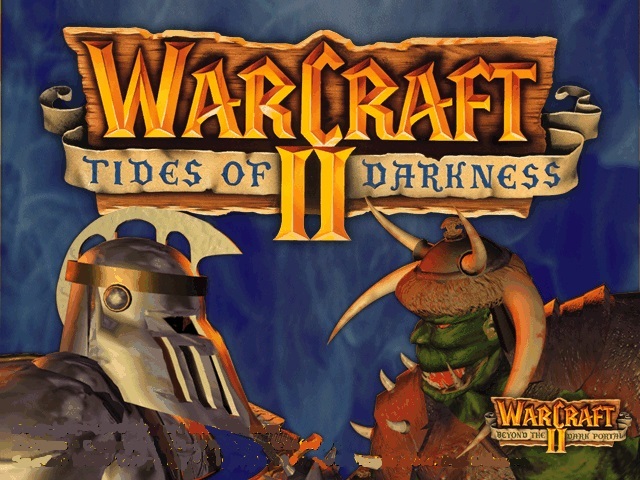 WarCraft II came out in the mid-1990's and took the computer gaming world by storm. It was chosen as game of the year by many magazines and really ushered in the beginning of "real-time" strategy games, as opposed to "turn-based" games. In War Craft II the player uses serfs/peons to gather materials (gold and wood) and construct buildings like farms, barracks, and arrow towers. Military units take the form of: foot soldiers, ogres, archers, trolls, knights, dwarfs, catapults, dragons, and mages. There is also battleships, submarines, and flying zepplins. The player can be either noble human or evil orc. Below are some of my scores. Unfortunately, I did not start keeping score until half way through my Orc scenario and then during the sequel called "Beyond the Dark Portal".